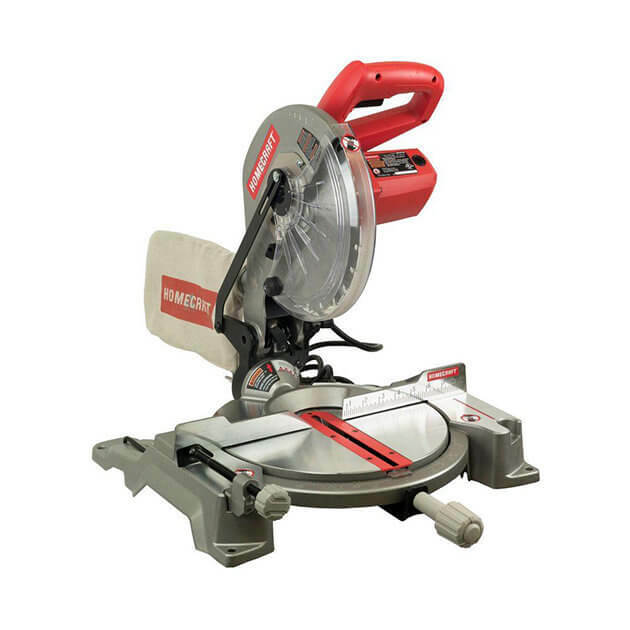 Everyone has different needs when it comes to buying the best miter saw. There is no one-size-fits-all solution. 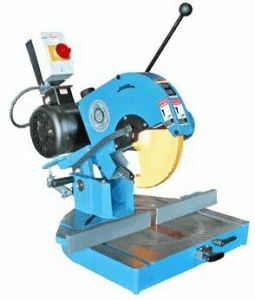 If you require your chop saw for commercial projects, you’ll obviously need to look for something heavy duty and this, understandably, attracts a corresponding price tag. 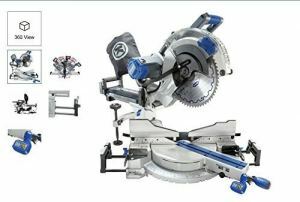 You can now get a perfectly serviceable miter saw for not much more than a family restaurant meal. 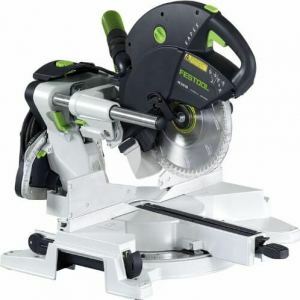 Today we’ll look at a great Delta miter saw, the Homecraft H26-260L from the formidable Delta Power Tools. We’ll look now at how the Homecraft H26-260L acquits itself in a number of categories from power and performance through to ergonomics. 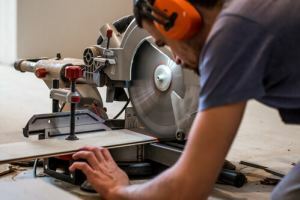 While you get what you pay for to a certain extent with power tools, this highly affordable miter saw proves that there are still bargains out there if you hunt carefully enough. With a combination of a powerful motor and outstanding portability, all coming in at an incredibly reasonable price point, this Delta miter saw punches above its weight. The capable 14-amp motor runs at 5500rpm. With the 10-inch carbide blade supplied, you can tear through tough or wet timber without breaking a sweat. You can also harness this power to make the precisely angled cuts you need. Some users have encountered problems since the clamp supplied can struggle with anything over 5.5 inches. Think about what kind of cuts you’ll be making and what size wood you normally deal with and decide how important this is to you. Tipping the scales at a mere 25 pounds, the Delta miter saw is particularly lightweight. If you need a miter saw which is highly mobile and can be moved from site to site with ease, this is a significant selling point. Theoretically, it’s possible to create any compound angle if you can miter or bevel between 0 and 45 degrees. This, though, should be considered the working minimum for a miter saw. Many will offer you an array of presets. This will take the sting out of cutting common angles. You’ll also be able to change between cuts more quickly. This Delta miter saw will bevel nicely up to 47 degrees. You’ll enjoy 45 degrees of rotation to the left and right. Detents are grooves enabling quick positioning. The H26-260L has detents at 0 degrees, 15 degrees, 22.5 degrees, 30 degrees and 45 degrees. Some users say that these can be awkward to engage. As with all single-bevel saws, the head will only tilt. This won’t stop you hitting the angles you need, it just means you will need to physically move the workpiece which will slow you down. There’s a fixed fence offering sound support. You can remove this if you see fit. As with any entry-level product, there is a distinct lack of extra features on the Homecraft H26-260L. The battery-powered alignment laser looks the part but some users have questioned its usefulness. If you take the time to properly set up the laser, it should certainly act as a useful positioning guide. For anyone who wants to undertake sensitive styling jobs, this laser is a great bonus. If this was a more expensive saw then the lack of add-ons would be rather disappointing. Considering the price tag of the H26-260L, the alignment laser alone is a welcome touch. When it comes to the overall quality and safety of your miter saw, you will need a strong, effective clamp. The horizontal clamp on the H26-260L holds your work perfectly positioned. With the clamp, there will be no shifting in alignment of the stock. 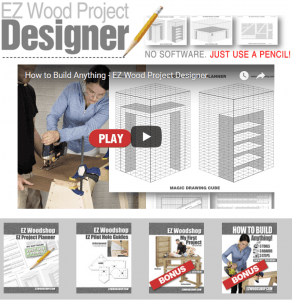 This will allow you to make the precise cuts you need. You will also avoid having to hold the stock with your bare hands. Every now and then you’ll want to change the blade on your miter saw. This can be a hazardous procedure with the blade needing to be held securely in place. The nifty spindle lock on the H26-260L will keep the spindle fully secured allowing you to loosen and remove the blade nut. When you are engrossed in a project, it’s easy for hours to zip by. The last thing you need is an uncomfortable handle that will leave you feeling sore and blistered after heavy use. With this Delta miter saw, you’ll avoid that thanks to the supreme grip and inviting texture of the handle. In addition to guaranteed comfort, the ergonomics of the handle helps with precision cutting. We hope you found that our review of this superb budget Delta miter saw has helped you in your search. 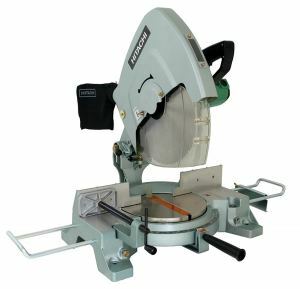 If you’re looking for an inexpensive and truly portable chop saw which will cope with most small woodworking projects, the H26-260L merits further investigation. Please feel free to drop us a line if you have any feedback or questions at all. We are always happy to help.